MELBOURNE, Florida -- Brevard Times is projecting that incumbent U.S. 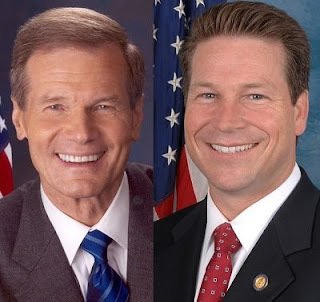 Senator Bill Nelson (D-FL) has won re-election in the Florida U.S. Senate race against U.S. Representative Connie Mack IV (R-FL). As of 8 p.m. Eastern Standard Time, Nelson leads Mack 56% to 41% statewide in Florida. In the heavily Republican County of Brevard, Nelson also leads Mack by a smaller margin of 51% to 46% with 55% of the Brevard County votes reporting.